The Southern Baptist Convention, the largest Protestant denomination in the United States, came into being in 1845 as the church of Southern slaveholders. Now, 173 years later, Southern Baptist leaders are not just acknowledging their dark history; they are documenting it, as if by telling the story in wrenching detail, they may finally be freed of its taint. The Southern Baptist Theological Seminary, the denomination’s flagship institution, this week released a 71-page report on the role that racism and support for slavery played in its origin and growth. Mohler, who has led the seminary since 1993, commissioned the history report, which was compiled by a committee of six current and former seminary faculty members, and he promised from the outset that it would be released to the public without editing. That story is now told, in a way only Southern Baptists themselves could tell it. The report draws heavily on seminary archives, including correspondence among the four founders. Among them, they held more than 50 enslaved persons. The report acknowledges that the only reason a separate Southern Baptist denomination was formed was because northern Baptists refused to appoint slaveholders as missionaries. During the postwar Reconstruction period, the seminary leaders opposed political representation for African-Americans and explicitly advocated white supremacy. For much of the 20th century, seminary leaders defended racial segregation and refused to admit black students. Seminary classrooms were not integrated until 1951. The Southern Baptist Convention formally apologized to African-Americans in 1995 for the denomination’s pro-slavery past, and in 2017, the convention adopted a resolution condemning white supremacy. The seminary’s report nevertheless breaks new ground. The “history” section of the current SBTS website does not disclose that its founders were slave owners and ardent defenders of the institution of slavery. 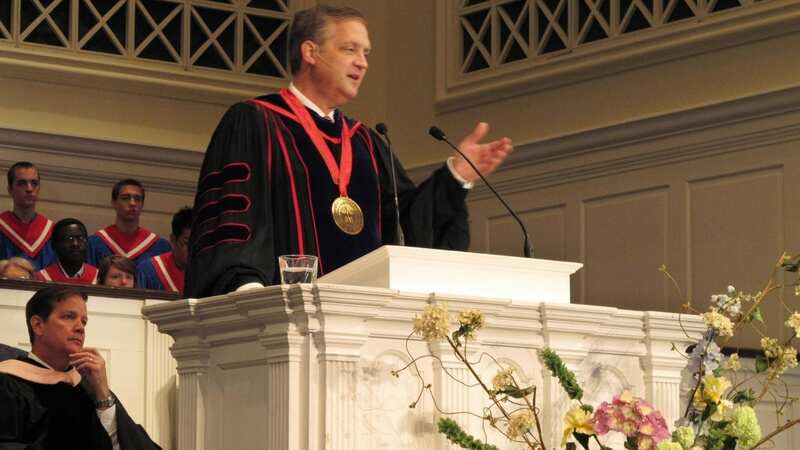 “One of the first things that will happen is that our institutional history will be revised,” Mohler said. What that might entail is not yet clear. There are no statues of the founders on the campus to remove, according to Mohler, although the seminary’s undergraduate college is named after James P. Boyce, one of the four founders, and some buildings and student associations carry the names of other pro-slavery seminary leaders. The seminary today admits black students, and some Southern Baptist congregations are led by African-American ministers. The denomination these days is distinguished from other Baptist groupings by its heightened evangelical identity and by the theological and political conservatism of many of its leaders.